When you need the legal guidance of a skilled divorce lawyer in Alpharetta, Georgia, call an attorney at Hecht Family Law. We will listen to your situation and provide honest, clear direction to guide you toward a swift resolution. Helping you protect yourself at the time of your greatest vulnerability. Family law matters can take on a distinct emotional tone. Even if divorce is the best solution for you, your spouse and your children, you will likely be met with strong emotions. To navigate this turbulent time in your life, it is wise to seek the counsel of an experienced family law attorney. At the earliest possible time, we encourage you to schedule a consultation at our law firm. The sooner we are involved in your family law matter, the sooner we can begin building a strong, effective case for you. Call or email us today. Ed was great!!! He took our case and fought for us until we got what we deserved. He treated us more like family than clients. I would highly recommend him!!! Hunting for an attorney can be a tad bit challenging because the overall objective of the hunt is to to hire individuals that have your best interest at heart. The objective is to hire individuals that care and take time to understand the complete situation in it's entirety to present the best case on your behalf. Individuals that strive to win and not simply go through the motions and collect your money. Ed Hecht and Bryson Hash are a brilliant combination under Hecht Family Law and I am thankful to have had the pleasure of working with them both and receiving their expert knowledge and skill. 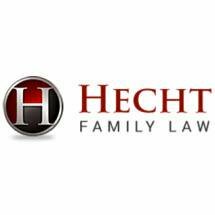 I have had a wonderful experience with Hecht Family Law as the firm truly guided me through each step of the way, keeping me well informed, scheduling consultations, battling on my behalf in the courtroom with class, doing an outstanding job of persevering through thick and thin! I hope if you are an individual in need of an attorney that you will consider Hecht Family Law based on my personal experience. I write these words with the utmost sincerity and as a man that fears God. I have known Ed Hecht for several years. Ed is a fierce advocate for those he represents in the area of Family Law. He is extremely competent and caring and works tirelessly on behalf of his clients and has advised me on various issues. I would wholeheartedly recommend Ed to anyone who face issues in any area of family law. R. Cowan, Woodstock, Ga.
Ed Hecht and his team represented me for several years in a very contentious child support/custody case that ended recently. We would have never gotten to the final judgment without Ed there to steer us through hidden finances and other stall tactics used in our case. Ed Hecht fought fiercely and tirelessly to protect myself and my child from bully tactics that were meant to make me run out of steam and give up. After many court hearings, I can truly say that I would recommend Ed Hecht to any of my friends or family members. He is professional and courteous and truly cares about his clients all around.